The Sunday flurry of finals kicked off with a huge win for Brien McMahon (CT) triple jump phenom Justin Forde. 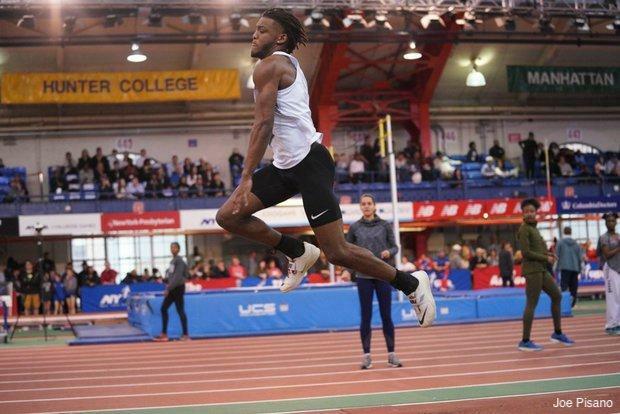 Forde entered the meet with the country's top mark at 51-0 set back at the VA Showcase, but was able to best it on Sunday with a 51-3 clearance. The jump bumped him up to US No. 17 all-time. He may have been looking for some redemption after a 12th place finish in the long jump on Saturday, even after clearing the third best mark of his life (23-2), but if he was, he sure got it. The competition was fierce in this one as the top four boys cleared 50-0 and the top five hit indoor personal bests. Christopher Alexander (NC) placed second with a 50-9.75 mark, followed by Jadan Hanson (NY) in 50-6 and Sean Dixon-Bodie (CT) in 50-2.25.